Boo is the sound we pretend ghosts make .... and just a little term of endearment for one's significant other. Oh yea, people also boo things they really don't like. The Toronto crowd booing Lebron whenever he touches the ball is ridiculous. Where does boo come from? This boo appears in a 1738 book by Gilbert Crokatt, Scotch Presbyterian Eloquence Display’d, which defined it as “a word that’s used in the north of Scotland to frighten crying children.” The 1808 Etymological Dictionary of the Scottish Language suggests boo is connected to the mythical Bu-Man, possible parent of bogeyman. What about when people or an audience say boo to condemn a performance, person, or action? While jeering and heckling can be found in accounts of ancient Greek plays, the term boo for the action doesn’t appear until at least an 1825 theater book, The London Stage. 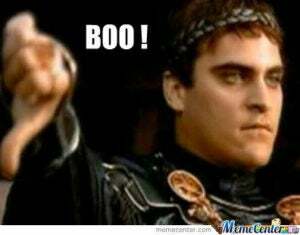 In the 20th century, boo has been used as slang for a range of things, including “marijuana,” “snot,” an “idiot,” and “excellent” and is part of other exclamations such as boo-hoo (mocking crying) and boo-yah (a celebratory cheer). A boo-boo is a children’s term for a minor injury or a mistake. But, the main slang boo is for a romantic partner (e.g., my boo or “sweetheart.”) Maybe a form of baby or the French beau(x), the pet boo, used much like bae, emerges in 1990s hip-hop slang and spread from there. 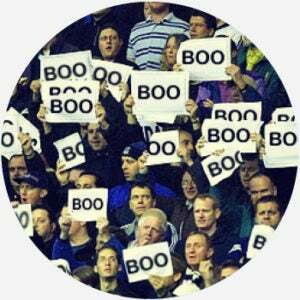 To boo someone, also called booing, is a way to jeer them, particularly if you’re an audience member. Boo is also a term of affection for a significant other. 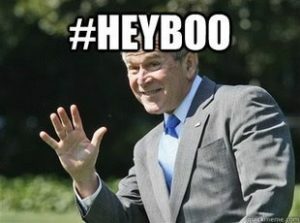 In this sense, you would refer to that person as my boo … just saying.